You have probably heard the saying many times: “This is Sparta!” The Spartans were elite warriors of ancient Greece. During the Battle of Thermopylae, 300 Spartans for a week blocked the only road that the immense Persian army could use to access Greece, in a width that did not exceed 20 meters. The Persian losses were considerable, but not the Spartan army. Spartan Slots is an online casino that has been running since 2010. Casino has software from Top Game, Rival and Betsoft. The website of the casino is quite simple and practical, easy to navigate, it is loaded super fast and does not contain annoying advertising. The games offered are well tabulated and divided into different groups; Slot machines, video poker, table games, bingo, keno and others. With more than 150 games and first-class promotions I would say that the online casino covers all possible angles. Players from the United States of America and the rest of the world are accepted. Bonus offers available to all new customers who deposit for the first time in their casino account will receive a “Welcome Bonus” for Deposits for their first 5 deposits. 1.With the First Welcome Bonus for Deposits you receive 200% on your first deposit. 2.With the Second Welcome Bonus for Deposits you receive 100% on your second deposit. 3.With the Third Welcome Bonus for Deposits you receive 100% on your third deposit. 4.With the Fourth Welcome Bonus for Deposits you receive 100% on your fourth deposit. 5.With the Fifth Welcome Bonus for Deposits you receive 175% on your fourth deposit. Slot games contribute almost 100% of the bonuses. While Video Poker has 20% and games such as Roulette, Casino War, mini-Baccarat and Keno contribute only 10%. One thing that we can guarantee that on this site you will never get bored. Every day there is some kind of promotion underway. You will receive comps, cash that you have lost and then there is the VIP program of the site. It is divided into 6 levels. Start with Bronze Club and end with Ultimate + Club. When your position in the VIP table will grow, your advantages as a player will also grow. 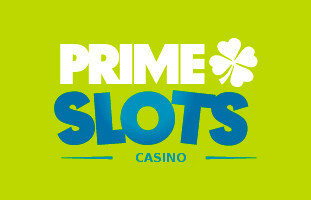 You will receive special bonuses, cash prizes, holiday gifts, faster cash withdrawals and a dedicated VIP Manager. Do you want to try the games before betting real money? No problem, new players receive a bonus of 25 free spins at the time of registration (No deposit required) and an unbeatable bonus of 200% up to $ 5,000 on your first deposit! For players who travel a lot, making bets through their tablet or smartphone, the Spartan Slots website works with the latest HTML5 software. The latest slot games from Betsoft or Rival are played with peace of mind. If you are not sure how the rules of each game work, check the payment table first. It gives you an overview of the prizes, bonus (free spins, scatters, wilds and multipliers). With the 3 software platforms (Top Game, Betsoft and Rival), the site adds 150 casino games. The table game players will be disappointed to discover that only a limited amount of blackjack and roulette games can be played. Other card games listed are dice and casino war. Video poker players can only see 4 parts. But we’re happy that Jacks or Better, Deuces Wild, Deuces and Joker and Joker Poker are on the menu. I have played Jacks or Better in demo mode, we have observed that even in demo mode it is more strict than usual. Normally, the margin of the house is 1.5%. 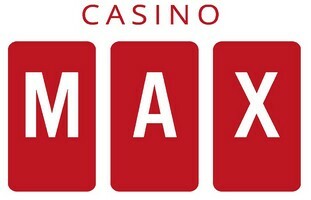 We advise you that when playing video poker you always bet the maximum amount of credits (5 credits). Slot machines are on the rise. In other words, they make up most of the games and are also more popular. Our selection of games are New Tales of Egypt, Alkemor’s Tower, Lady of the Moon, Lost, The True Sheriff, Rooks Revenge and Barbary Coast. The Betsoft 3D slots offer huge jackpots, they are quite loose, the games are very entertaining with a plethora of free spins and gives possibility to win with multiplier. The games offered at Spartan Slots Casino are regularly tested by a third party. This means that they offer you a fair chance to win and have not been manipulated. The average payout percentage for all casino games is 96%. However, the RTP audit report (Return To Player) does not appear in the list. You can bet in US dollars, Euros or British pounds. Withdrawals through electronic tickets are made from 24 to 48 hours. Bank transfers take from 7 to 10 business days, credit cards up to 3 days and checks up to 12 business days. Normally the pending period for any withdrawal is 72 hours. Manual operation is not allowed. Credit cards used by players in the United States will be subject to changes. Players can finance their accounts with various banking methods. 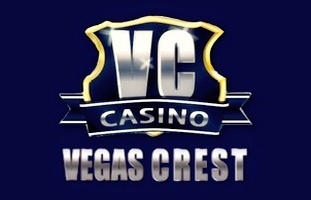 Withdrawals in the casino are limited to $ 35,000 per week, depending on your VIP level. Progressive jackpot winnings are excluded from this amount. If you win a pot of $ 1 million, you will be paid in full and immediately. 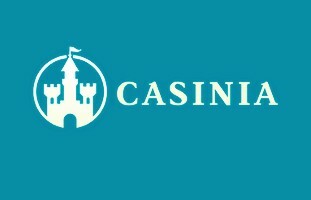 A web casino that works for more than 6 years should be doing things right. Customer service in general is acceptable. It can be contacted through live chat, email ([email protected]) and telephone. The FAQ section provides clear answers on what to do if you lose your login information, what happens when a game is blocked, how to charge, general information about bonuses and payment options. For those looking for an entertaining online gaming experience with an incredibly complete selection of games that can be accessed from any mobile device at any time of the day or night, then Spartan Slots Casino is the right place for them. With several years of success in the gambling industry, this company knows what it needs to please its players with incredible promotions, banking options and excellent customer service. Visit Spartan Slots Casino Now!